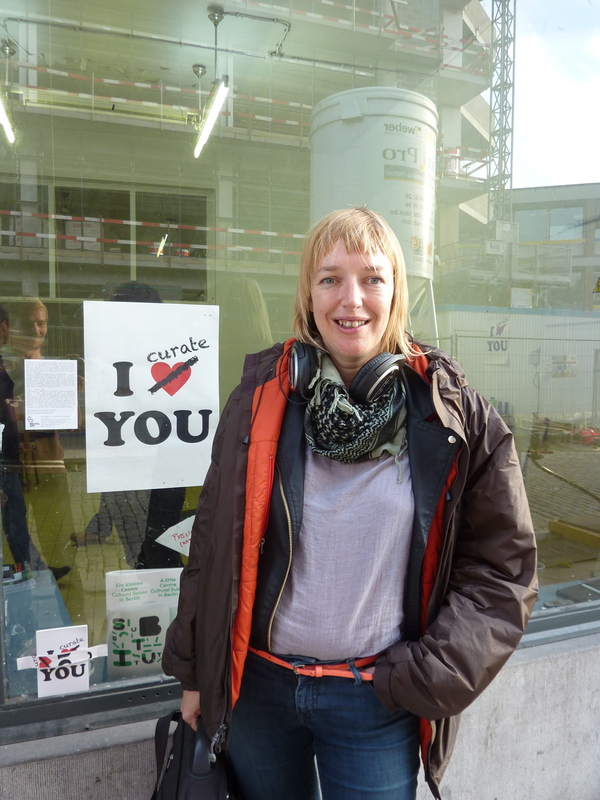 Well, it was a bit as if she had brought some cheese to taste when Myriam Van Imschoot visited me at recyclart last Thursday. I couldn’t help but smile when she said that she researches on yodeling. Yodeling, of course, as a global phenomenon in a broad definition, as a technique of breaking the voice. „The loss of control of the voice is the ultimate symptom of fragility and vulnerability but in various cultures also the beginning of virtue“ Myriam said. Myriam talked about her „Yodel-Portraits“. She interviews people having a connection with yodeling and then stages them as live portraits. Van Imschoot hosts the evening as a „conférencier“ (master of ceremonies). Although the guests talk about themselves, their speech is directed by Myriam. They are self-portraits and portraits at the same time, fiction and reality entwine. Later, with other guests, I was talking about economic dependence and my desire for a partial independence. I was just telling them that in my childhood in working-class quarters it was common to own a little garden. I was just citing Candides famous words „we must cultivate our garden“ when the door opened and Jean-François Paquay rolled in a container full of soil he cultivated. How exciting! 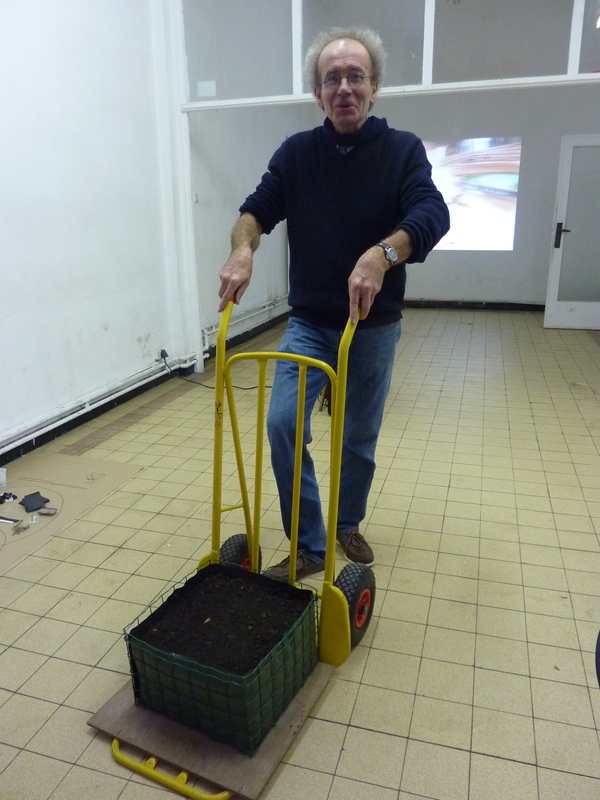 Not only did we have a nice chat about the essence of soil but also it’s connection to art (see also Documenta13). Create. Cultivate. 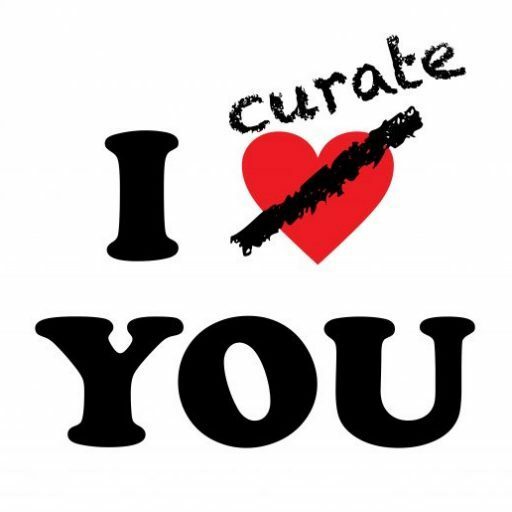 Curate. And yodel, if you like.